A personable and pragmatic approach to relationship building defines James’s methodology as he strives to achieve excellent outcomes for his clients. Tertiary studies in communications and past experience working in marketing and branding provide James with a keen edge and eye for detail. With his unique blend of local knowledge and specialist expertise, James is a natural fit for the Marshall White One team. Reliable and intuitive, James has a proven track record in delivering above and beyond for his clients. 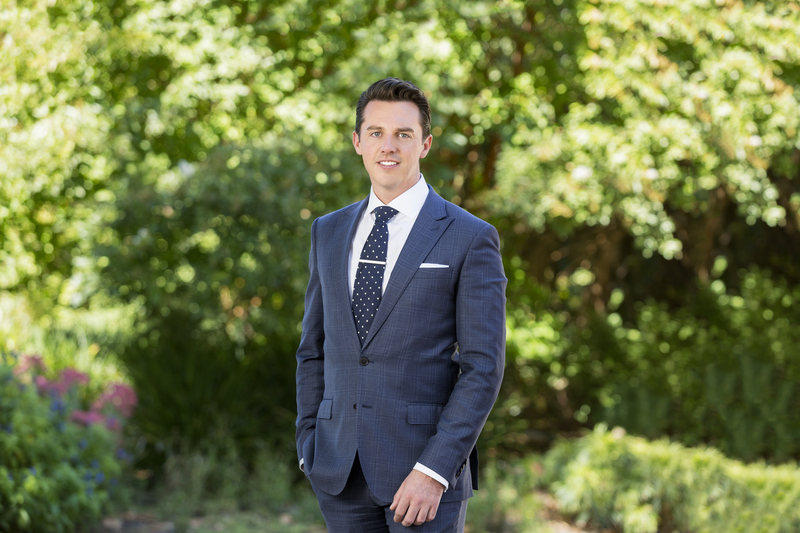 Having recently been in the property market himself, James displays empathy and understanding towards his clients as they embrace one of life’s greatest and most exciting decisions. With a family background in real estate, James has a natural affinity toward architecture and interiors. Having grown up in Boroondara, James feels an intrinsic link to the local community. A proud Melburnian and foodie, in his free time James can often be found appreciating Melbourne’s quality restaurants and cafes, attending world renowned sporting events or spending time at his family’s farm in the Yarra Valley. James was fantastic to deal with from start to finish. He recommended my property to me and when I was initially reluctant to see it, he didn't give up and offered to show it to me any time I was available and when I saw it in person I fell in love. James helped me throughout the process and was really good about answering all my nervous first-home-buyer questions (however silly) and always with a smile. I highly recommend James to buyers looking for someone who cares about finding the right property for you and helping you through an otherwise daunting process. After the recent sale of our apartment in Kew, we just wanted to write some words of thanks for James Hill and Bethany Wilkinson for their superior management and execution of the campaign. Their enthusiasm and honesty shone through from the start and they were both a pleasure to work with. Throughout the campaign they kept us up to date with activities, and provided sound advice and guidance. The whole campaign ran seamlessly, and to the schedule that was communicated early on. They even went above and beyond to sort out an administrative issue that cropped up post the sale, that was not something that they needed to do. In short, we couldn’t have hoped for a better campaign experience, and felt extremely comfortable and confident in their capable hands throughout the entire journey. For any future sales, James and Bethany would be the people that we would go back to, knowing that they will get the best possible outcome for all. Thanks again! Would recommend in a heartbeat James was fantastic throughout the entire process of selling our apartment. He was friendly, professional and transparent. At the time, other apartments in our building had been on the market for 12-months+ but James and the team at Marshall White One sold ours in under a month. We couldn't be happier with the result, and how easy the process was. We would recommend James in a heartbeat! Dear Hamish and James, As I said today, I think you did a fantastic job! From our first meeting with you, you were able to convey a vision for the house. Your suggestion of both Carmel and Steve assisted us enormously in getting it ready for sale, and maximising its potential. And your open communication right throughout the campaign was also invaluable in keeping us informed, and confident in the process! James you did a wonderful job in managing the communication with all the prospective buyers, and in conveying that information to us! You have a lovely warm genuine manner, which we greatly appreciated. Together you managed to make the whole experience of selling our property a very open and positive one, and engendered in us a strong sense of trust- in both of you, and so in the overall process! Thankyou so much!! With our best wishes again. From my very first conversation with James, I saw he had a very strong understanding of my property and an in depth personal knowledge of the area and its selling points. James was great to talk to, really approachable (to me and buyers, he and Bethany make a great Open for Inspection environment) and was available at all times, whether giving me a quick call to update me on the campaign or to answer my questions. Most importantly to me, James helped make the process easy (even at the expense of his own time), whether through offering to be at the property for a new appliance delivery on his day off, arranging a cleaner, or doing marketing on weekends and a Public Holiday. He showed me he was committed to getting the best outcome he could and working as hard as he could to make it happen. Thanks James!